The House is getting its first two Muslim women and Massachusetts is getting its first black congresswoman while Arizona and Tennessee stand to elect their first woman senators in Tuesday’s midterm elections. Both Omar and Tlaib were endorsed by Democratic Socialists of America, the liberal wing of the Democratic Party that counts among its high-profile members another rising female star – Alexandria Ocasio-Cortez. What is already the most diverse Congress ever could become even more so after Tuesday’s elections and will include several trailblazers. 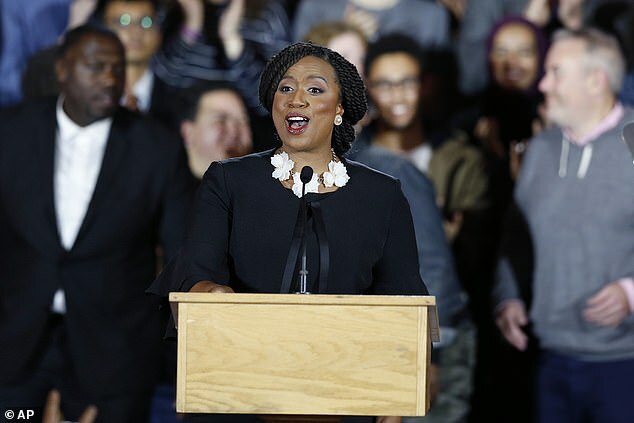 Boston City Councilwoman Ayanna Pressley will represent Massachusetts’ 7th Congressional District in the next Congress. And regardless of who wins in Arizona’s competitive Senate race, the state will elect either Republican Martha McSally or Democrat Kyrsten Sinema as the state’s first woman to serve in the chamber. Also in the Senate, Republican Marsha Blackburn will become Tennessee’s first woman senator. Georgia governor’s race candidate Stacey Abrams, a Democrat, was in a fierce battle to become America’s first black woman governor, and Florida Democrat Andrew Gillum was bidding to become the first black governor of Florida. Next articleCould capping Anchors’ salaries to 10 Lac per month save hundreds of media worker’s jobs? Angelina Jolie hints at move into politics. Next President of USA?